David Cameron wanted the Great Britain to remain in the European Union, however, his frail campaign failed because he never informed the British voters of the biggest advantage of staying, which is EU’s new Anti Tax Avoidance Directive. To convince the British people to vote remain, Mr Cameron had to remind them that by staying in the EU, his government would have had to implement EU’s Anti Tax Avoidance Directive by the year 2019, by enacting new laws and collecting taxes from everyone, including our tax-dodging billionaires. However, throughout his political career, Mr Cameron wasn’t keen on ending extreme austerity measures by collecting taxes from the wealthy elite registered in tax havens. Every time the EU undertook momentous actions to end tax-avoidance amongst its member states, Mr Cameron responded by issuing his momentous announcements regarding the British EU referendum. Shortly afterwards, Theresa Villiers, Priti Patel, Michael Gove, Iain Duncan Smith, Chris Grayling, and John Whittingdale appeared at the Vote Leave headquarters, holding a banner with a slogan “Let’s take back control”. Speaking on behalf of six Tory Brexiteers, Grayling explained that they want to restore the sovereignty of the British nation. Backed by The Sun, Daily Mail, Sunday Times, Daily Express and Telegraph, which are owned by tax-avoiding media tycoons, Tory Brexiteers managed to protect the sovereignty of our wealthy tax-dodgers from the new EU Anti Tax Avoidance Directive. 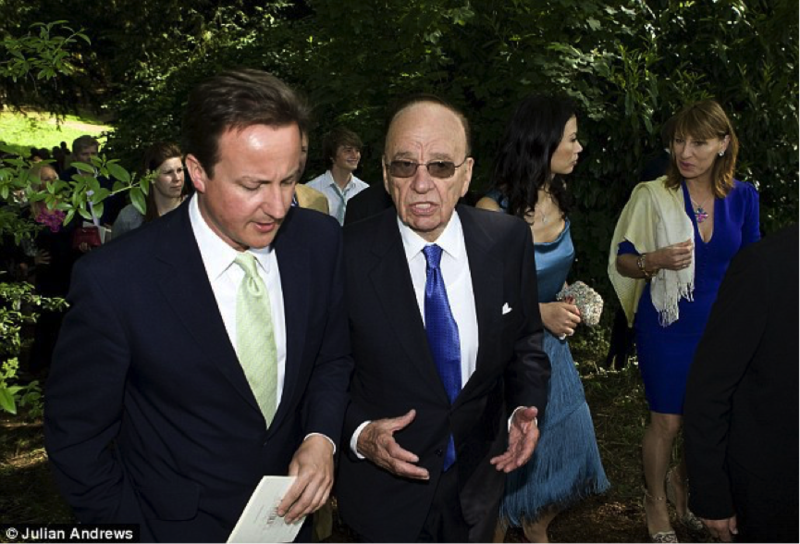 In fact, ever since he announced his U-turn on the EU-referendum in 2013, Mr Cameron spent his time exclusively in the company of executive officials of the British pro-Brexit press, which are owned by wealthy tax-avoiding billionaires who felt threatened by the new EU Directive intended to bring an end to their tax avoiding practices. According to Press Gazette throughout 2013, 2014 and 2015, Mr Cameron and George Osborne intensified their discussions with the pro-Brexit press. David Cameron is a classic Jekyll & Hyde example, publicly campaigning to remain in the EU and secretly spending most of his time with people who campaigned to leave the EU. Even Mr Farage’s UKIP, the party who rambled on as being the only UK party to speak out for Britain’s little people, in the European Parliament, instead of the people they pledged to represent, they voted to protect the vested interests of the wealthy elite, who refuse to pay their tax contributions. Apparently, Mr Farage also tried to avoid paying his taxes through an offshore trust fund. The European Court of Justice in Luxembourg is responsible for ensuring that EU directives are interpreted and applied in the same way in every member state, including EU’s Anti Tax Avoidance Directive. The following link has been added on June 21, 2018, to clarify that compared to British tax havens, the new EU Anti Tax Avoidance Directive will not have much impact on Luxembourg’s and Malta’s tax havens. 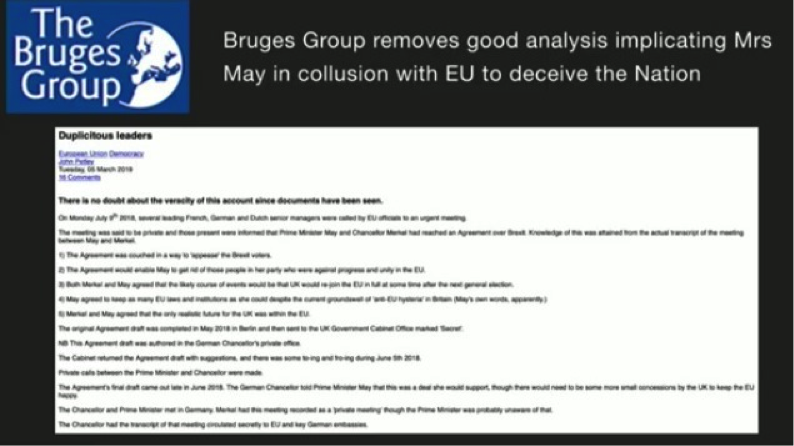 Well documented analysis of the ongoings of big corporate and private individuals ‘s taxe évasion on a level never disclosed so clearly and the part played by the Tories big guns to protect theirs interests !! And it seems very obvious now to see why a controlling EU wanting to put theirs noses in this well oiled system doesn’t suit the big guns (the Murdoch) of this world and theirs cronies ! Therefore the “let’s take back control” Takes an other meaning ? And certainly nothing to do with the ‘interests of all the people’ but only of the few who benefits from all the existing loopholes ! Brexit is therefore a big opportunity for them and the hell with the rest of us!! The working dinner at Downing Street was on Wednesday, 26 April. The EU27 Brexit summit was on Saturday, 29 April in Brussels (where the EU27 Council’s Guidelines for the Brexit negotiations were unanimously adopted by the 27 PMs/presidents). The Frankfurter Allgemeine published its report about the Juncker-May meeting on Sunday. Moreover, during the last months the UK government made serial idiotic delusional statements about Brexit, completely out of touch with reality. The UK government does not understand even the very basics of the EU functioning. There were quite many comments of the EU27 leaders from different EU members about the cluelessness and delusions of the UK government. So the ‘disastrous’ dinner did not come out of the blue. In fact, it would be very surprising if the UK government actually knew what they were talking about. The UK government has completely wasted ONE YEAR = 12 months of precious time since the Leave vote doing absolutely nothing. On the other hand, the EU27 have been intensely preparing for Brexit for months at all levels, including the national governments. On 19 June when the new UK parliament convenes, it will be FOUR AND A HALF YEARS after Cameron announced he will propose the Brexit referendum, TWO YEARS after the UK parliament adopted the Brexit referendum act thus calling for the referendum and ONE YEAR after the Leave vote, the UK will be still firmly stuck on square one. No plan, no preparations for Brexit, nothing, just a clueless government and destructive internal division. The Brexit UK is a joke. The ELITE’s ”isis” attacks anywhere The ELITE TELL it to. ”jews” and ”muSlimes” Are BROTHERS in Satanism!! ”jew-muSlimes” Have WORSHIPED The SAME ”Crescent and Remphan Star” for Thousands of Years, Since Nimrod and Babylon. The elites needed a cover in order to crash the world economy while deflecting blame off central banks/governments. The voluntarily breakup of the EU voted on by none other than its citizens will certainly suffice. The elites are now announcing via the media the economic chaos that will ensue as countries vote to leave. The people will cheer under the illusion of victory as constructed financial chaos ensues. It is necessary to dismantle the European Union in order to usher in the World Order. The new union will be formed as a solution to world economic turmoil and it will be an international union encompassing all countries. Recall the “remain in the EU” side was well ahead in popularity days previous to the official vote yet still lost. The vote was close to appear fair. It is logical to assume September/October should be go time, when the UK is leaderless and the historical 50 year Debt Jubilee is at its peak. Hey Mike, I think I have listened. Gregory is not a prepper, butdon’t get me wrong, I appreciate his insights. On the other hand, some of the first canned goods I bought and stored are about ready to expire. I withdrew from the banking system 2 years ago. I am not looking to pull a G. Soros move and profit from the calamity of others. I want to see a positive change.All this ‘market watch’ stuff is not going to help ‘average Joe’. He willbe blind-sided if anything dramatic happens. My point is that profiting by the collapse will not save you and that that focus is the amateurs way of being the same as the manipulators.One group has the control and the other is merely trying to collect thecrumbs of the aftermath. How does that change the paradigm? The elites WILL impose dire consequences to the British people for this vote, it will be so bad that the collective populous will beg to rejoin the EU; they will make life so terrible for these brave people that folks will literally beg, whether through financial hardship or through other engineered means. Let us as a human family stick together, showing kindness and love to each other, ensuring that we all prosper, but the British people will feel the full brunt of the BREXIT decision to the full extent of possibility. Megadittoes. They’re gonna steal our wealth when the dollar collapses; a predetermined economic outcome which is unaltered by Brexit. Brexit is such a victory because it hinders the EU and United Nations agenda of conquest in enslaving humanity into a one-word government. Thanks, Greg. Good insight! God’s perfect will be done, may God’s perfect Shalom Peace and special gifts anointing be given to each as God allows for such a time as this, Whatever comes may we all Stand steadfast in Faith & trust IN JESUS and strength to endure til the end, COME LORD JESUS COME !!! May the saving grace of JESUS CHRIST be with you all, IN THE MIGHTY NAME OF JESUS. AMENThe Lord bless you and keep you;25 The Lord make His face shine upon you,And be gracious to you;26 The Lord lift up His countenance upon you,And give you peace, Numbers 6, amen!!! 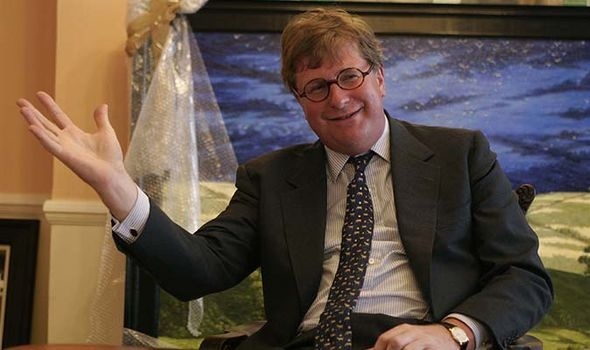 “Leave supporter Crispin Odey is one of several hedge fund bosses who cashed in after taking large “short” positions on company stock and the pound by betting on their value falling following a vote to leave the European Union (EU). The 57 year old, who has an estimated $4billion in personal assets, said he invested heavily in gold and bet on the pound falling against the dollar in the aftermath. GW: These people are NOT heroes!